Jan Traylen: Sand Forest 1: India. 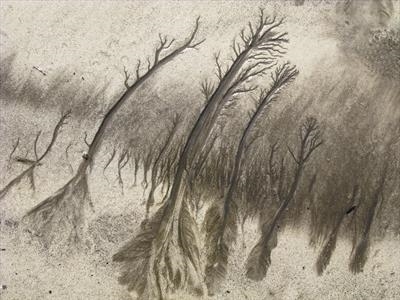 The sand on the beach is shaped by retreating sea water to form tree like patterns. It looks like a forest.